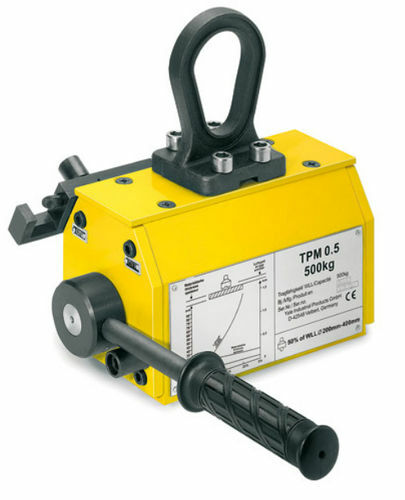 TPM load lifting magnets are ideal tools for easy, quick and thus economical transport of heavy objects made of ferro-magnetic material. 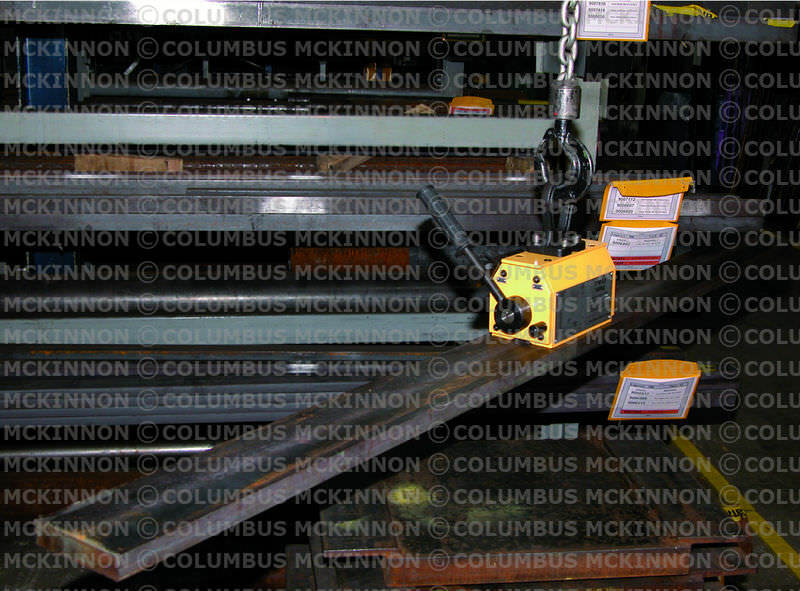 Typical operating areas are workshops and warehouses, loading and unloading of machines as well as construction of jigs and fixtures. Compact design of the units for a large number of applications. 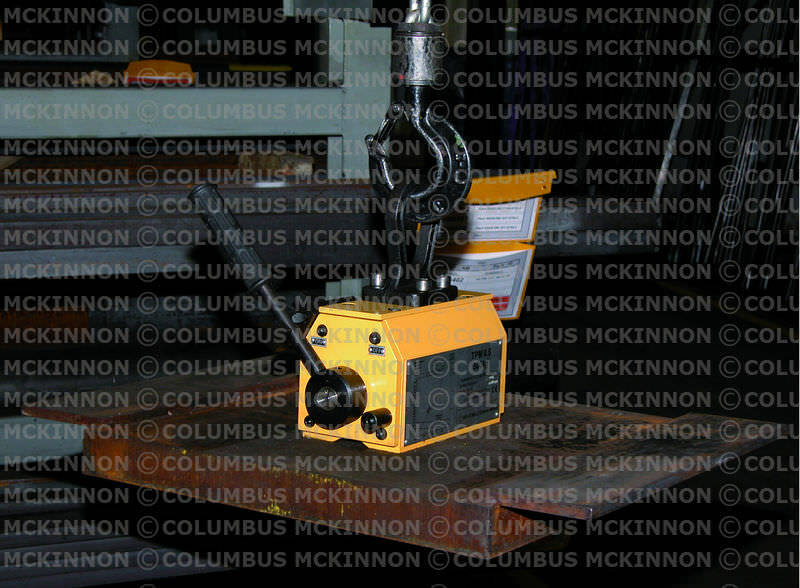 The load is not affected mechanically which allows lifting of flat as well as round material. 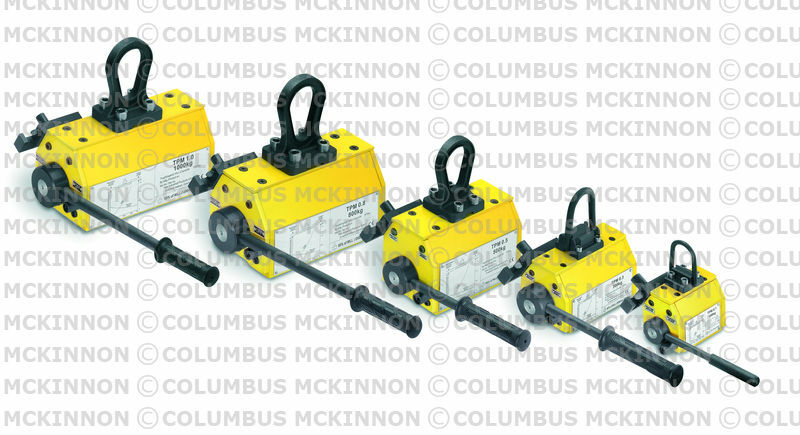 The efficient magnet body provides strong lifting capacity at low dead weight. The permanent magnets do not require electric energy and will leave only minor residual magnetism on the material after use.